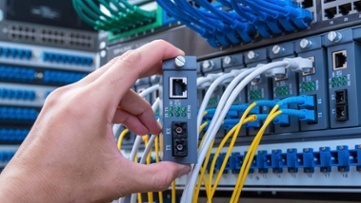 Calculate the potential savings for your IT support and hardware maintenance today. ITSM believes that organisations should not limit themselves to the end-of-life notices coming from their vendors. Often, IT hardware has a longer useful life, longer than the support hardware vendors can provide. Significant cost savings can be achieved when organisations focus on maintenance contracts and refresh cycles. We can assist you in your investment by extending the lifecycle of your IT infrastructure through our third-party maintenance (TPM) support services. 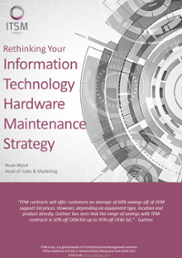 ITSM can provide cost-effective alternative to your OEM hardware maintenance. Complete the short form and a member of our Hardware Maintenance team will be in contact with you. Please enter your business email address. This form does not accept addresses from gmail.com.